Criminalize Conservatism: What IS A "Low Information Voter," Anyway? 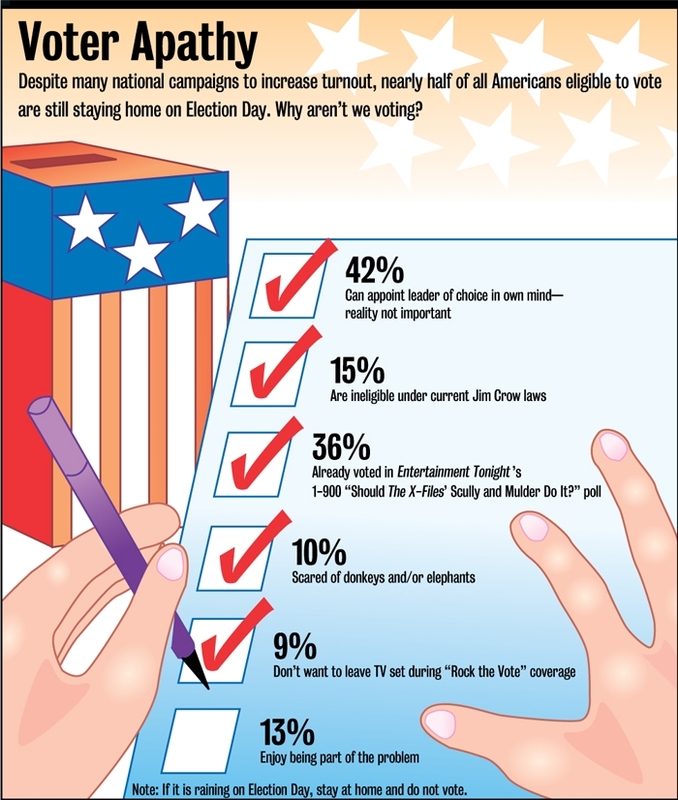 What IS A "Low Information Voter," Anyway? We heard about the "Low Information Voter" during the last few elections, the Cons said that the reason they lost any elections was because of the LIV, and the Democrats said the same thing. And we know the LIV isn't quite the same as a Misinformed Voter, like these nut cases exemplify. And finally, the Low Information Voter not only doesn't know the answer to this question, he doesn't even know it's a question! The Low Information Voter is the bane of American politics and the road down to the Conservative Age of Feudalism will be paved with their bones. When so many died to make sure that democracy stands, the LIV has brought life back to the Cons over and over and over again. There are four kinds of voters: Progressive, Regressive, Misinformed Voters, and Low Information Voters. And without three of them, we might see some progress in the march towards a true democracy. But something has to be done to eliminate the Regressive Voter.